Fraudulent claims are costing the global insurance sector dearly. Last year, some 125,000 false claims – worth £1.3 billion – were detected in the UK alone, according to research by the Association of British Insurers. Moreover, it is estimated that a similar amount of fraud goes undetected each year. So it’s no surprise that insurers in the UK, which boasts the fourth-largest underwriter community in the world, invest at least £200 million annually to identify fraudsters. Looking globally, the getmeIns USA Focus predicts that detecting just one per cent of fraudulent claims would save companies in the leading 10 insurance nations $35 billion collectively. This has made the quest for a solution of paramount importance to insurers. Up until now, they have remained disappointed – but sophisticated artifi cial intelligence (AI) driven by deep learning could be their saviour. Huge strides have been made recently in terms of image and facial recognition. This new technology understands every multi-layered element within images and videos in the same way humans do. This allows it to analyse and recognise images and faces in video content with up to 98-per-cent accuracy – and 1,000 times faster than the human brain. In its current form, this advanced AI technology is helping broadcasters to identify key people and objects in video footage to streamline the editing process. Media data science company Genistat used the technology during this year’s European Open Golf Tournament to detect leading golfers and sponsor logos quickly and accurately across hours of footage, significantly speeding up the creation of highlight clips. Make way for the future However, it is the next step in this technology’s development that spells good news for insurers. 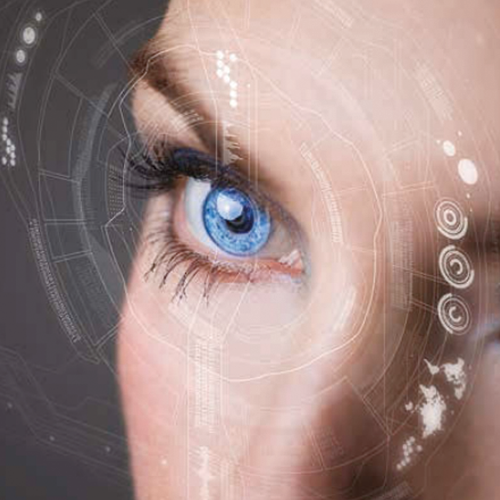 Soon, facial recognition will be able to detect suspicious behaviour in real time through monitoring and analysing pupil dilation, eye movement, gaze, speech patterns and tone of voice, along with identifying seven key human emotions. Applied to claimants, it has the power to transform the way insurance companies help process claims and assess their validity more scientifically and accurately than ever before. Imagine you could simply interview a claimant and instantly be able to assess the probability of them telling the truth. Well, this is no longer the stuff of insurers’ dreams or fraudulent claimants’ nightmares. The system currently being developed for insurance companies assesses claimants’ facial expressions for suspicious signals. The claims handler would simply interview the claimant using their smartphone camera, which would be feeding back visual data and cues to an AI-driven intelligent computer system. Using advanced deep learning techniques, the system would analyse an individual’s responses and microemotion reactions to a set of questions in real time and deliver an assessment of their veracity to the insurer almost instantly. This would be in the form of a visual dashboard delivering key guidance to the claims handler, enabling them to do their job more effectively by flagging up clearly the most suspicious claimants for further, more detailed investigation. In a lighthearted test, early versions of the system were used to assess just how convincing UK Leader of the Opposition Jeremy Corbyn and Prime Minister Theresa May’s speeches were during this year’s General Election, with strong results – which remain behind closed doors! In 2018, insurers will get the chance to use the technology on bonafide claimants to help reduce the huge burden of fraudulent claims that is currently draining insurance company profits – and it looks set to transform the industry. WeSee’s pioneering mobile-led ‘vistech’ harnesses the power of advanced deep-learning AI to detect and analyse digital visual content in real-time with the aim of developing tailored solutions to improve safety, security and integrity across society and business.